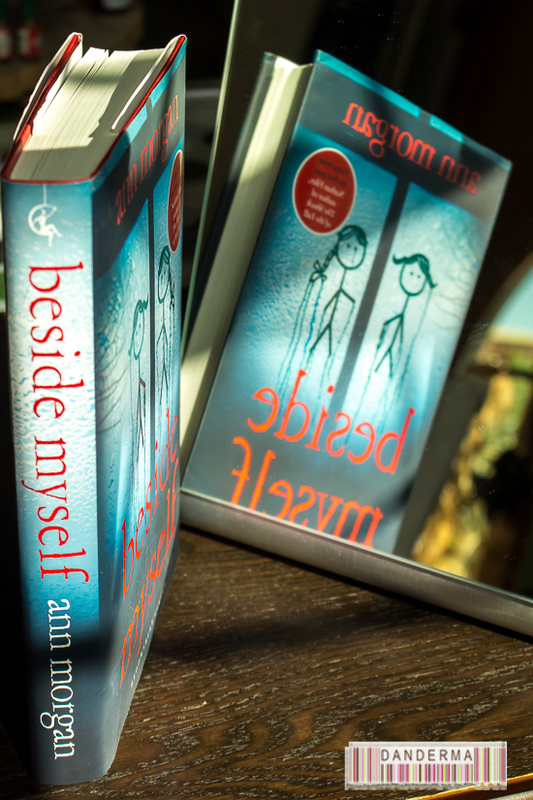 From the blogger who read the world in one year and wrote a book about it comes this second and quite enticing dark thriller “Beside Myself” and once I set my eyes upon it I snatched it at once. I was lucky enough to get a signed copy of Ann Morgan‘s first book “Reading the World: Confessions of a Literary Explorer” because I was featured in it as the author of the book from Kuwait, quite an honour really but I will be talking about that book another time for the post have been ready and waiting for almost a year now! When reading Ann’s book, I liked what I read. When I read the description of Ann’s second book, I couldn’t wait to get my copy and as I finally sat down to read it, I had butterflies in my stomach. Well, you see, I have a little confession to make… I always envied twins! Ever since I could remember I’ve wanted, desperately at some points, to have a twin sister -or even a brother- of my own! I even had the subject of my library project 2 (maktabat 2 in high school, god knows how I would translate it now) be about twins. The way I saw it, twins must be the happiest people on earth because they will never be lonely. Twins would always have someone they’d count on to love them, cherish them even in a way no one else can have. Share their own world, language, clothes, secrets, just like they did in the womb. Now that being said, you must understand how it felt to pick a book about twins who switch identities in a childhood game only one of them, Ellie, refuses to switch back and steps into Helen’s shoes full force. The switch lasts into adulthood and the devastated Helen loses her identity and as it seems, everything else she cares about. Why is it a dark thriller? It talks about mental illness, hereditary ones especially, how lonely and isolating it can be to a person, how destructive, especially when it lacks support and understanding from your loved ones, and how mundane activities people would normally take for granted are a dream for others searching for peace of mind. Was it a page turner? You bet it was, the epilogue did seem a bit slow but after page one in chapter one it really flies and you are smack in the middle of the twin’s tale. Ann gives quite a rich and vivid description of the surroundings and activities, particularly the art pieces which I could almost imagine seeing and the whispering voices that I could almost hear myself. Some might argue that there are too many details but personally I didn’t mind them much. I did, however, get a bit annoyed with the arrangement of one chapter for the past, followed by one for the future. I found myself wishing for more of smudge time and little less Helen and Elli time. It could be because I was so heart broken because of Hellen’s plight and how she was wronged yet she was cast aside and treated as a dangerous outsider. I wanted to crawl inside the book, materialise on their doorstep, give Helen a reassuring hug and scream at the top of my lungs that she is Helen and that Ellie stole her life, Ellie is a thief! One last thing, when the book finished I wished there was a little bit more to go on. I wasn’t done with smudge yet, I needed to know more and I wanted more details, perhaps a chapter more or even two. Is there a change for a sequel, dear Ann? Well done by the way, I thoroughly enjoyed my time with the twins and was deeply moved indeed. Looking forward to more future books.